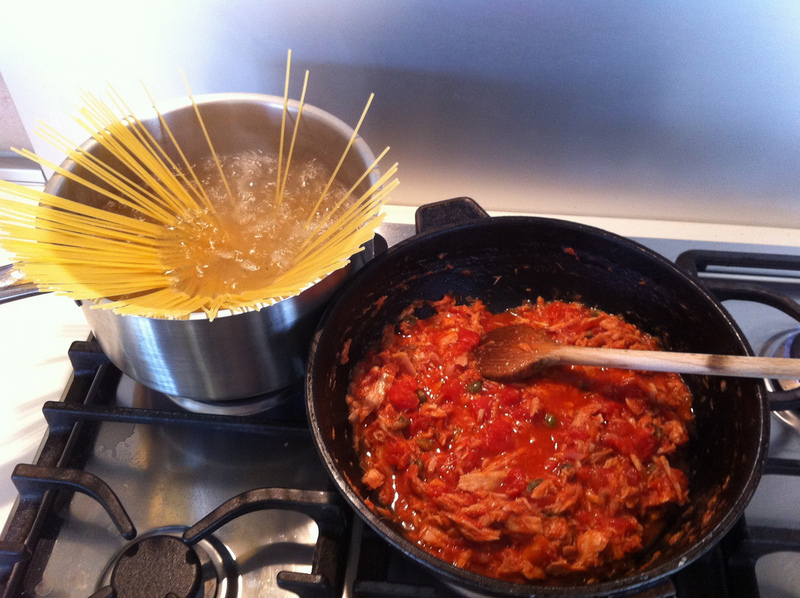 I just posted 2 pics on twitter of me preparing Spaghetti Tonno & Capperi (spaghetti with tuna and capers) that I decided to quickly share this recipe with you! First a warning concerning the most important ingredient: the tuna! Do not buy the cheaper canned ones but spend a few euro more and buy the much better tasting fillets in a glass container conserved in olive oil (not on water or sunflower oil), and of course buy dolphin friendly tuna. The water for the pasta should be boiling by now, add the spaghetti and cook it al dente. When the pasta is ready serve it with the sauce on top. 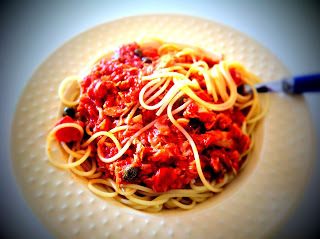 I do the Pasta Spaghetti al Tonno con Capperi without tomatoes. Take all ingredients, but at least double tuna, except the tomatoes PLUS 1/2 ltr white wine, some bouillon. 2) put in fine cut onion and garlic, just let them to sweat for a few minutes - be careful not to burn them. I do it with thinly sliced olives and capers. tastes deliciously.